This taco salad is simply the best! Place the chicken breasts in the base of the slow cooker and pour the black beans, salsa, and taco seasoning over the top. Set on low and cook for 8 hours. Once finished cooking, shred the chicken into the sauce. Season with salt and pepper to taste. Prepare the salad with lettuce, shredded chicken and black beans and guacamole topping. 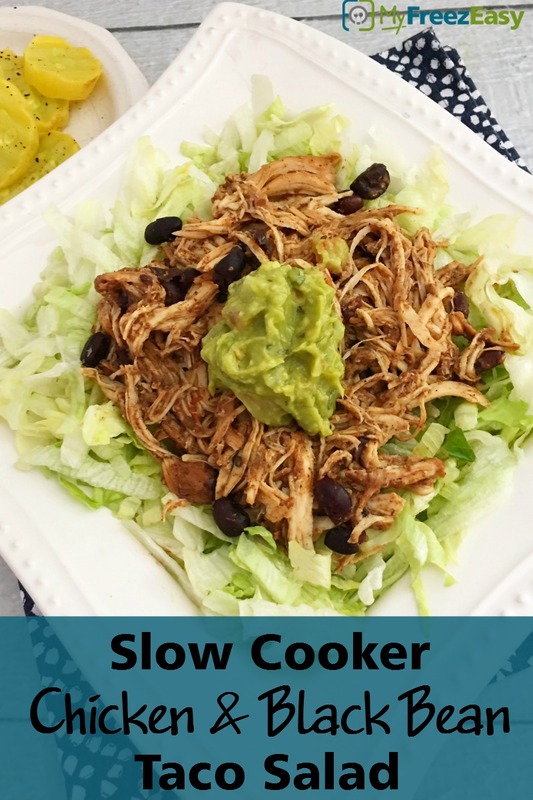 Serve Slow Cooker Chicken & Black Bean Taco Salad with guacamole and veggies. Use homemade taco seasoning - recipe on 5DollarDinners.com. Thaw and slow cook on low for 8 hours. 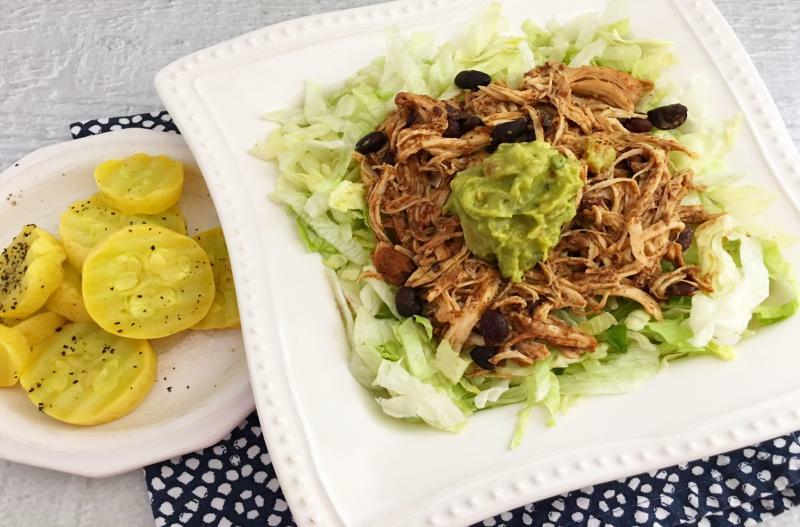 Shred the chicken and assemble salad with shredded lettuce, chicken, beans, and guacamole.